Are we already on day five? Where has the time gone? That means we only have one week left of Christmas giveaways. But what better way to kick off the week than with a very sweet treat? Godiva Chocolates are currently in the process of celebrating 90 years on the planet. That's 90 years of bringing smiles to people's faces with glorious, sweet, rich and creamy chocolate. In celebration of such a monumental anniversary, it seemed only natural to include a few celebration chocs in the prize giveaway. So, what do you win if you win today's FFG Christmas Giveaway? Well, let's just say Godiva Chocolate will be hooking you up with more chocolate than you and your family will be able to consume over the holiday period. There's a box of truffles celebrating the 90th anniversary, for starters. There's also the classic gold heart box. But, the fun doesn't end there. Godiva will also be gifting the winner the full set of Godiva 'G' Tablets. In a nutshell, you are not going to want to miss this. The rules remain the same. 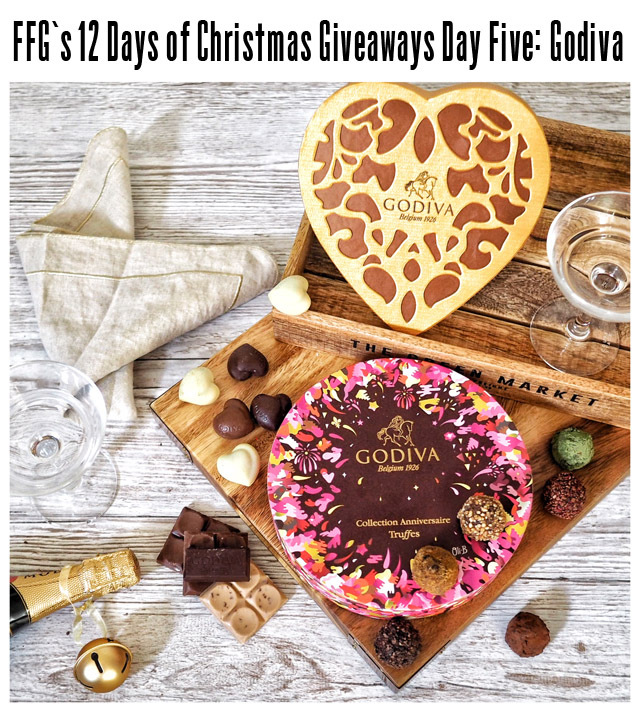 Jump onto Instagram from now and leave a comment on the picture, follow Godiva, and the rest is down to luck. The comp will close at 10pm GMT, so you have 14 hours to think up a clever response.